Nakhon Nayok, a province northeast of Bangkok for a day packed full of activities. Take part in a variety of activities including a market visit, a Thai lunch, firing guns and rides on an ATV car. and a whitewater river rafting and swimming. Pick up from your hotel and depart from Bangkok in the morning and head north to Nakhon Nayok province. Visit a traditional market to get a local's look into its morning operation, selling local produce and other goods. Visit a popular local spot by the Sarika waterfall and enjoy swimming and trekking. Have time to enjoy 1 hour before lunch. Enjoy a delicious Thai lunch before boarding the afternoon activities. ATV riding adventure. Take an outdoor adventure on one of O’ahu’s best ATV tours 6 km . ATV rides take guests through scenic valleys and remote areas rarely visited by others and diggin’ through dirt are just part of the fun! 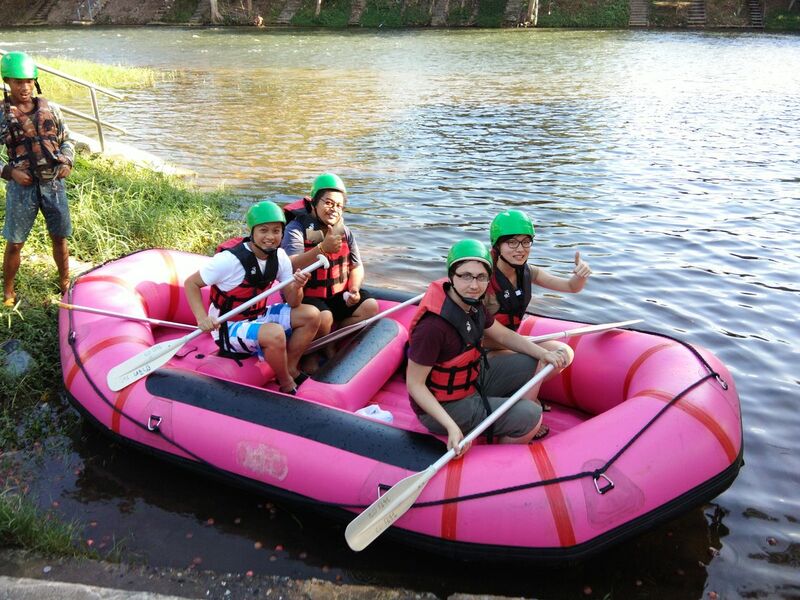 Whitewater river raft and heading down the Nakhon Nayok River. At the end of the day, we head back to Bangkok to drop you off at your hotel. Reach to your place around 6.00 PM. Arrive safely at your hotel. Nothing more than the word fun. Myself and 3 friends had so much fun on this adventure tour. Aritat is a great guide. Very nice, funny and a good driver. I would recommend this trip to anyone who wants to have a big day of fun! Thank you very much for the friendship in the past 1 day, I was very happy with this trip is very much.